If you thought pickling cucumbers, also called picklers, were just for those who make bushels of homemade pickles, you are mistaken. 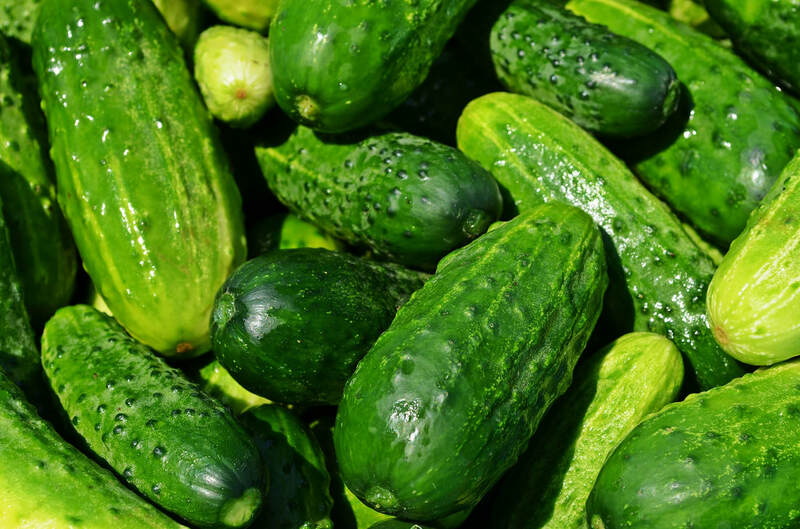 Young pickling cucumbers are crisp and tender making them the ideal cucumber for slicing or serving in salads. These little beauties grow quickly and bear fruit in as little as 55 days and are preferred to slicing cucumbers by many gardeners who enjoy fresh cucumbers at every meal. Prepare the soil for cucumbers in an area that receives full sun. Full sun is defined as 6 to 8 hours of direct sunlight a day, but cucumbers thrive in all day sun if they can get it. Till the soil to a depth of 6 to 8 inches and amend with generous amounts of compost or well-rotted manure. A 2 to 3 inch layer worked into the top 4 to 6 inches of soil is ideal. Rake the area smooth and mark the rows. Run a line of garden twine between two stakes at opposite sides of the garden to create even rows, if preferred. Many old time gardeners simply run the edge of the hoe down the row and mark it by eye, but this does run the risk of uneven rows. Apply 5-10-10 fertilizer to the row following the application rate on the package and work in well with existing soil. Granular fertilizer burns young roots and seeds if not mixed in well. This is one case when more definitely is not better. Plant cucumbers in late spring or early summer after the danger of frost has passed. These tender plants do not tolerate frost and do not germinate well in cold damp soil. Optimal germination occurs at 86 degrees F.
Plant pickling cucumber seeds to a depth of ½ inch spaced 4 inches apart. Although gardening catalogs recommend spacing cucumbers a foot apart, it is not unusual to experience "skips" in the row, especially if the weather turns cold and damp and some seeds do not germinate. To avoid the need to replant parts of your row, plant them thick now and thin to the healthiest seedlings once plants are and inch or two tall. I thin cucumbers to a space of 6 to 8 inches. Seedlings typically emerge in 5 to 7 days, but may take as long as 14 days depending on the weather and soil temperature. Young plants grow rapidly for the first week or two and then appear to stop growing, but this should not be a concern. The plant is simply devoting energy to developing a strong root system to support the plants. Foliage growth resumes once roots are developed. Side dress with 5-10-10 fertilizer when cucumbers are 4 to 6 inches high. Work the fertilizer into the soil with a hoe using care not to disturb young roots or spill fertilizer on the plants. Till between the rows with a hand tiller or garden tiller to keep the soil loose and remove weeds. Hand pick weeds around growing cucumber plants to keep the entire area weed free. If the roots of weeds are close to the base of the plant, cut the weed at the ground level. Once cucumbers begin to vine, apply Miracle Grow, or other water-soluble fertilizer every 10 to 14 days to promote healthy growth. Mix one tablespoon of Miracle Grow per gallon of water. Pick young cucumbers when they are 4 to 6 inches long. Keeping young cucumbers picked on a daily basis promotes further blooming and fruit set. Do not allow cucumbers to ripen fully on the vine as this sends the message to the plant that it has accomplished the goal of producing fruit and seeds and it will cease production.